David most certainly does mention rice malt syrup and it’s required a lot in his sweet poison quit plan recipe book (which is amazing). Rice malt syrup tastes very sweet to me now that I’m almost 2 months without sugar but my boyfriend tried it and told me its not sweet at all. It reminds me of how I remember golden syrup tasting and maybe that’s why his Anzac biscuits with dextrose and rice malt syrup are so delicious! I’ve also started putting it on my toast and crumpets instead of honey (which isn’t sugarless at all and should be replaced by glucose syrup or rice malt syrup if you want to remove sugar from your life) and While i need to use a bit more to get a similar taste to honey, it’s a damn fine alternative if u want to be sugar free. 🙂 But seriously, buy his cookbook, my boyfriend and work colleagues don’t even know what I’m baking is sugar free it tastes that good! Hi Nici – Still puzzled as to why I can’t find it mentioned in the book but looking forward to trying out the Anzac biscuits recipe (I think I saw it posted on his Facebook at some stage?). Awesome that others can’t tell the difference – I have found the same 🙂 Let me know if you have some awesome recipes to share! Thanks for the comments – I’ve got Sarah Wilson’s book also, so was careful to buy the rice malt syrup that is free of fructose. I know that David Gillespie has just released another book – perhaps that’s the one that uses the RM syrup? Yes Rice malt syrup is an excellent alternative for honey or golden syrup. Also another publication to look at is called Hungry Tums, and I think can be found on Facebook. Thanks for commenting Deb 🙂 I will also check out Hungry Tums. Can’t wait to try this. Hey there, Ive been baking with Dextrose for a while now as I have a three year and hubby I don’t want them to go with out there “sweet treats”. I just do a straight swap with fructose to dextrose and all turns out ok. I buy my dextrose from our Bin Inn $2.90 for 1 kg bag. Here in the Waikato they have a Bin Inn in nearly every town, not too sure about other regions, there was definitely one in New Brighton Christchurch when I was visiting. I also get it from the Brewery place in Hamilton to. Hi Tina – thanks for sharing and well done for staying away from the fructose filled treats 🙂 I hadn’t looked for it there yet (still getting to know NZ shops), sounds great. I just went to their website (for anyone in NZ): http://www.bininn.co.nz. It looks like they are all over the country – there isn’t one in central Auckland (but there is Bulk Food Savings), however, they are in Pakuranga Heights and Browns Bay for any Aucklanders. Hi Caroline, have you looked at http://spoonfulofsugarfree.com? Alex is sugar, dairy and gluten free and her recipes are amazing! She’s studying nutrition, and has been eating this way for quite a few years. It’s an American site so some things may be hard to source, but most things can be found here in NZ. http://www.daveshomebrew.com.au/‎ has dextrose and will post. I have been fructose free for over 2 years now and follow both David Gillespie and Sarah Wilson. my all time favourite is David’s (& Lizzie’s) Carrot Cake….simply superb! Thanks for the info on Australia! Thanks so much for this post. 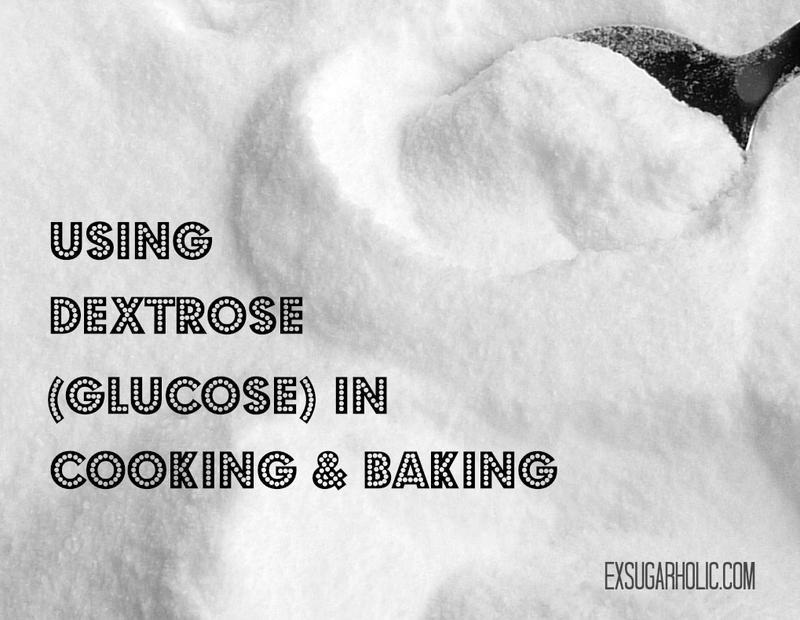 I am very new to the Sweet Poison bandwagon,but have found it really hard to actually find dextrose or glucose in the supermarket. Any idea which aisle I should be able to find it on?? Hi Emily, welcome to the journey 🙂 in a regular super market you can usually find it in the baking isle. Mine has is close to the regular sugars. I hope that’s helpful. 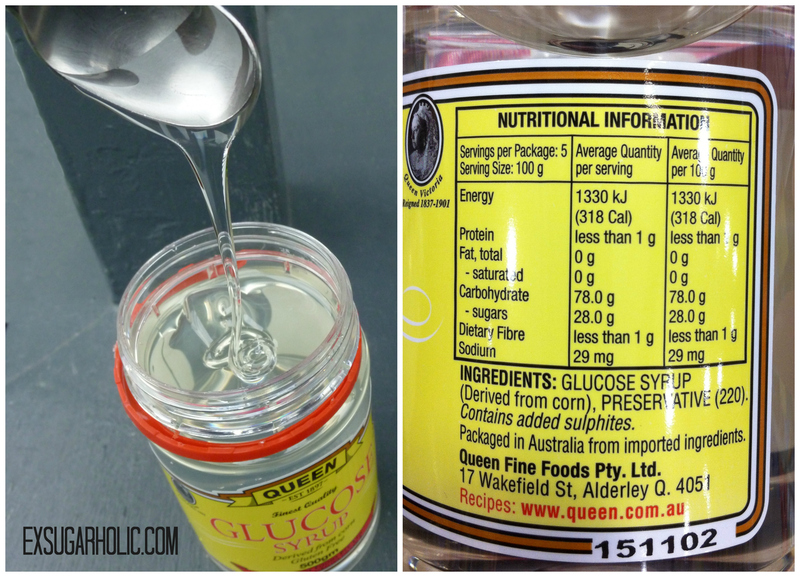 I have found glucose in the supermarket but not dextrose..
http://www.daveshomebrew.com.au/‎ (Sydney) is where I get it from…Dave will post also. thanks guys, I will check it out. Looks like my local Coles doesn’t have it then, I’ve scoured that baking aisle. But i’ll definitely get in touch with Dave if I can’t find it elsewhere. Thanks! Good luck Emily 🙂 Please do share if you find it elsewhere. Awesome – thanks for sharing! 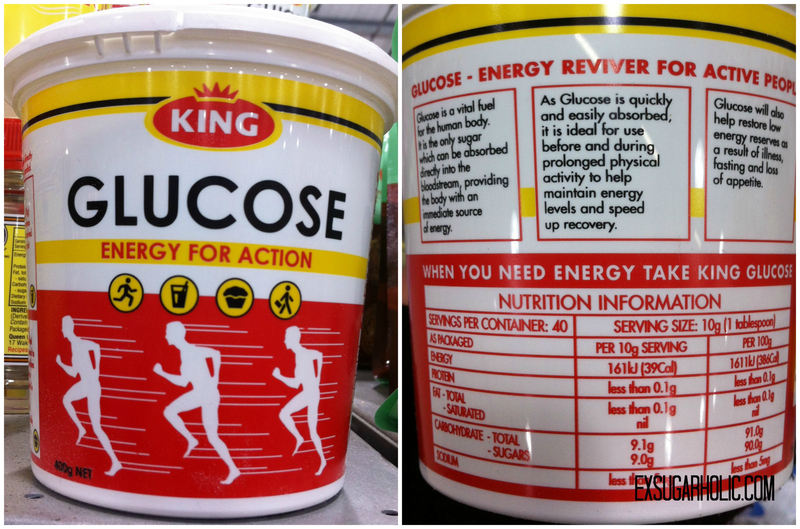 I have just found 1kg liquid glucose in the brewing section of New World too and for much cheaper than the small containers in the baking isle (although, I wasn’t sure what part of a supermarket was a brew section haha – it turns out that in this one it’s the isle which has soda, non-refrigerated juices, rice milk, dry milk etc). We are new to being sugar free, having just completed our first month. I have Sarah Wilson’s book and am busy trying out her recipes. I have been able to buy rice syrup at Bin-in and at other specialist food shops. I like the taste of rice syrup, finding it not overly sweet. My taste buds are very busy adjusting themselves and I find some things now too sweet. I also use the website ‘NZ Sugar Free’ for data, recipes and ideas to keep me motivated. Well done on taking the plunge! And trust me, if you are finding it hard, don’t worry, it will be a whole lot easier soon 🙂 Let me know hoe you get on with her recipes, I have been trying them out too and with rice syrup. I am not sure what I think of the actual taste just yet, it has a lot more flavor than glucose but perhaps it grows on me lol. Thanks for sharing and the website! Thanks! No I haven’t tried coconut sugar at all as I on my journey so far have stayed away from anything with fructose in it (unless it’s naturally occurring in it’s original packages such as fruit, veg, nuts etc). So far that has done amazing things for my health and energy, but you never know, I might find new things along the way. I am definitely all for products which affects my blood sugar levels less. What has your experience with coconut sugar been so far? Yes I live in New Zealand – it is actually a good question with GMO – I only moved here 2 years ago so I am not sure what the rules are here – but I will certainly find out. I know that in any other countries corn is often genetically modified! Hi there, I read your blog on a regular basis. Your story-telling style is awesome, keep doing what you’re doing! Thanks so much for checking out my wee blog 🙂 Did you just start yours? Hello to you 🙂 Thank you so much, I’m happy to hear that you found this post useful, please come back and check again soon. And apologies for the delay in replying, I have been slightly preoccupied lately as you can see on this post. info@activebio-tech.co.nz Anthony Green sells Dextrose here in West Auckland but also delivers. Just bought my 25kg bag for only $50 including postage within Auckland so only $2 a kg! the smaller the amount the more it costs of course. 2kg $7, 6kg $18 but he said he’d do pretty much any size you want. I found dextrose in the home brew section of our local Coles supermarket in Queensland Australia. Great, thanks for sharing 🙂 what size and price was it?